I transfer money to my parents every month, we use a service from Xoom as well as local Indian bank’s money remittance service. Sometimes I transfer a large sum of money, especially just before our biannual visit to India. Keeping my money safe and secure is my main concern rather than saving on fees and taxes. But sometimes, the speed of transfer does matter as well. Xoom takes around 4 hours to transfer and local Indian bank takes up to one week. When my parents need money urgently I use Xoom which is lightning fast. Other times I use the other route which deposits money into my Indian bank account. Sending money abroad nowadays is already significantly better compared to the way it was in the past years. However, risks and threats continue to exist. It’s important to be careful and mindful of your transactions. You can’t just rely on what the money transfer service company tells you. 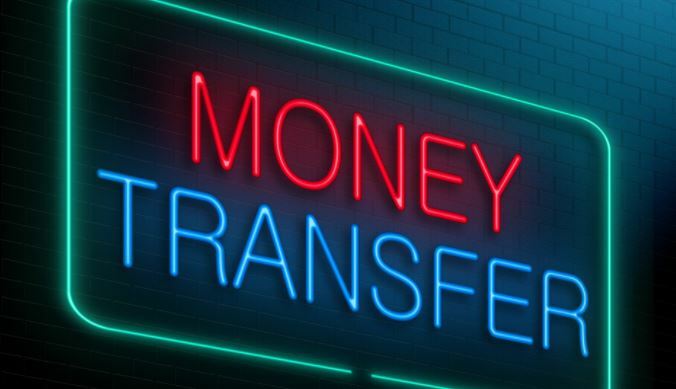 Before you do any money transfer, you have to make sure that you know how it works. You have to be aware of the procedures involved. This is to make sure that you are doing the process correctly so you wouldn’t be faulted for anything that may go wrong in the process. The general process for money transfer services nowadays involves going to an office/kiosk to fill out a form, give the amount to be sent along with the corresponding fee, and get the reference number for the transaction. Messages may be sent to the recipient and to the sender to confirm that the transaction has been initiated. Another message may be sent once the amount sent is claimed. The transaction can be tracked online through the reference number. In the case of banking, the sender will be asked for a SWIFT code and other relevant details before the transaction can be initiated. It’s not a highly complicated process and the tellers are, most of the time, eager to provide assistance. Generally, there’s the assurance of safe and secure transfers with banks so there’s nothing much to worry about if you send money through banks. If anything goes haywire, you can expect the bank to address the problem promptly as they can’t afford to lose credibility even for a meager international wire transfer transaction. Remittance or money sending companies that have been in the business for a long time enjoy such longevity because they are reliable. They continue to be patronized because they satisfy their customers. As such, it is safe to assume that they can provide good enough service. This is not to discourage trying new players in the money transfer service market. However, if you urgently need to send money internationally, it would be better to stick with the company you have already tried before. Find reviews and ask those who have actually tried the services (a number of times) of these companies about reliability or service quality. Of course, it’s also important that you should limit your options to licensed and authorized financial services companies. Find out where the company is located and inquire if it is duly licensed or authorized to provide financial services. Some companies may use the claim that they are “registered” financial services providers. Be aware that mere registration means that the company is not regulated so their processes are not being overseen by authorities. There is no guarantee that they operate securely and that they have enough funds to be able to return their customers’ funds in case something goes wrong. Most companies that provide international money sending services provide tracking numbers or codes that can be used for tracking the transaction. Also, it would be good if there are alerts regarding the progress of the money-sending transaction. Make use of the tracking facility and inquire about the estimated time when the money can be claimed or received. Through the tracking facility, you will know if something’s not proceeding as expected. You can then promptly lodge a complaint to have the issue addressed as soon as possible. Another important matter to ascertain is the customer service or support provided by a company. Make sure that you get prompt responses to your inquiries or complaints. It should be easy to contact them by phone or live chat. Do a telephone or live chat inquiry to test the customer support responsiveness of the money transfer service company you are considering. Additionally, get insights or feedback from other customers. Look for personal reviews or testimonials shared by customers on social media or blogs. Don’t calculate the final receivable amount on your own. Don’t expect the remittance or money-sending service provider to use the same exchange rate you are using. Ask how much should your recipient expect. This is not purely an issue of safety and security but you can never be sure if somebody will take out some of your money before sending it, and blame the significant converted value reduction to the exchange rate. Before you send money, you should have a clear idea of the amount that will actually be received by your recipient. The website should be SSL-encrypted. Its URL should start with https, not the usual http. The web-based service should be reputable, preferably operating for a long time, and should have many users/customers. The website of the money-sending service provider should have a proper system for handling transactions. You should be asked to sign up for an account that preferably should come with the option to enable two-factor authentication. Never link your credit card or online wallet account with the account you created with this money-sending service unless you can ascertain that it’s legitimate. You should be able to clearly establish legitimacy like in the case of Xoom and PayPal. As much as possible, choose to send money through a web-based service that has a physical office in your country. Take note of the contact details (email, telephone, and live chat). Don’t hesitate to ask for clarifications. If you are sending money through an online service you have been using for some time, watch out for possible phishing. Always type in the URL of the website of the service provider you are using or use your own bookmark. Avoid clicking on links to go to the website through which you will be sending money. You may receive an email with an invoice or money request that includes a link to the website you regularly use to send money. Don’t be conned. Make it a habit never to click on links when you are supposed to undertake money-related actions. You may encounter ads or links that claim to allow you to send money at lower rates through bitcoins. Be sure not to fall for them. For now, there are no established companies that offer cheap international money transfers through bitcoins. If you don’t know how bitcoin works, it’s best to avoid schemes involving it. Compared to how it was done years before, making international money transfers at present is way easier and faster. There are also numerous ways to do it. You just need to make sure that you are choosing the right money transfer or remittance service and that you properly secure your fund sources. Like this post! Cyber-security is very important while you send your money abroad, fishing becomes a real problem. But you provided the nice advice how to avoid it and keep the money of your family safe. Thanx a lot!